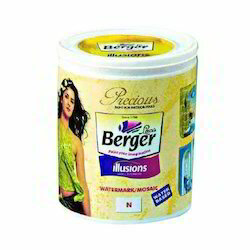 We are presenting a wide range of Berger Primers, Unique Wall Paint to our esteemed clients assuring high quality. They give a completely new look to the place where they are done, these Berger Primers are manufactured from supreme quality raw materials. 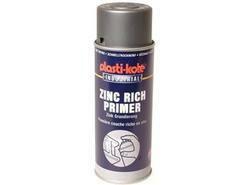 We are offering Zinc Rich Primer to our clients. Uses: Suitable for application as a priming coat on structural steel, pipelines, tank exteriors, etc., of refineries, petrochemicals, fertilizers, power generation plants. mining facilities and bulk handling equipment. Scope: A two pack epoxy primer enriched with metallic zinc. The primer provides outstanding performance on blast cleaned steel as it imparts cathodic protection to the base metal. It has no deleterious effects on normal cutting and welding operations. We hold approval certificates for cutting, welding, health & safety from appropriate authorities. Theoretical Spreading Rate 10.0-14.3 Sq. Mtr./Ltr. BP ROZC Primer recommended for exterior and interior surfaces subjected to humidity. Condensation and industrial environments in general. It can be over coated with conventional synthetic top coats as well as aluminum paints. The primer satisfies is:2074 specifications. A premium quality Bison HB Zinc Phosphate Primer recommended for exterior and surfaces subjected to humidity, condensation, marine and coastal environments general. It can be overcoated with conventional as well as chlorinated rubber coating. We are offering Bison Synthetic HB ROZP Primer to our clients. Remove grease, oil and other contaminants preferably by using bison decreasing solvent. Blast clean to a minimum of sa 2 u7 swedish standard sis 05 5900 with a surface profile not exceeding 35-40 microns. If blasting is not practical make full use of mechanical tools along with manual chipping and wire brushing to remove loose rust and scale to st. 2 swedish standard 515 05 5900. Excessive burnishing of steel is to be avoided. Thoroughly dust down all surfaces. The surface should be clean and dry before application of the primer. ensure adhesion of wash primer. Wet abrading with abrasive paper and thinner 853 is suggested. Metal sprayed surfaces do not require treatment other than stiff brushing and water washing to remove salt and other contaminants. Stir each Component thoroughly before mixing base and catalyst in equal proportions. Allow maturation time of 30 minutes. Stir again prior to use. It is particularly important with this product that the recommended film thickness is not exceeded and for this reason application by brush is advisable although application by spray is also possible. Brush : Apply without thinning an even coat taking care to avoid runs or sags. Brush : Apply preferably Without thinning. If required, add upto 5% Thinner 800. Conventional Spray : Add upto 10% Thinner 800. Use any standard equipment anatomizing pressure of 4.2-4.9 Kg/cm sq. Airless Spray : Add upto 5% Thinner 800 if required. Use any standard equipment having pump ratio 30 : 1. Tip size OAS-0.53 mm. Tip pressure 120-150 Kg/cm sq. We are offering Linosol High Build Zinc Phosphate Primer to our clients. Recommended for protection of steel structures including cranes, bridges, conveyors, etc. Under industrial and saline conditions. Specified in fertilizer plants, thermal power plants, gas works, paper mills, steel plants, etc. 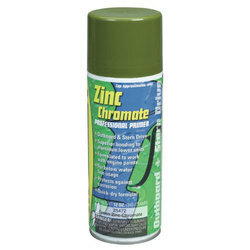 A high build anti-corrosive primer based on chlorinated rubber incorporating zinc phosphate as the passivating pigment. When used in combination withlinosol top coats, the coating system exhibits exceptional water impermeability, resistance to salt spray and fumes of most acids. Luxol Zinc Chromate Primer is suitable for steelworks and non-ferrous metals in mild industrial and inland environments. It may be used as either shop or field applied primer for all general structural steel, cranes, towers, tanks, equipment, etc. We are offering Zinc Epoxy Primer to our clients. Steel Remove grease, oil and other contaminants preferably by using Bison Decreasing Solvent. Blast dean to a minimum of Sa 21;2 Swedish Standard SIS 05 5900. For severe corrosive conditions, blast to Sa 3 with a surface profile not exceeding 35-40 microns. Special care must be taken on weld areas to remove flux and spatter. Welds should be ground back to avoid pockets Were corrosion can occur. The cleaned surface should be coated before it becomes contaminated. 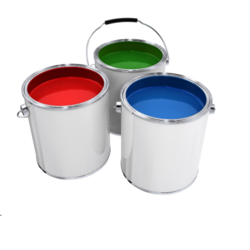 We are offering Lacquer Paint to our clients. Steel: Remove grease, oil and other contaminants preferably by using bison decreasing solvent. Blast dean to a minimum of sa 2-12 swedish standard sis 05 5900 with a surface profile not exceeding 35-40 microns. If blasting is not practical, make full use of mechanical tools along with manual chipping and wire brushing to remove loose rust and scale to st. 2 swedish standard sis 05 5900. Excessive burnishing of steel is to be avoided. Thoroughly dust down all surfaces. The surface should be clean and dry before application of appropriate primer coat. Concrete : New concrete: ensure that the concrete is cured for a minimum of three months. The surface is to be made rough and free from laitance and other contaminants by sand sweeping. Old concrete remove all salt deposits from the surface by water jet washing. Light sand blast the surface to remove all loosely bound coatings and roughening up of firmly adhering coatings to ensure anchorage with recommended system. Ensure all dust/other particles are fully removed by suction or air blast and the surface is fully clean and dry before application of paint. In non-critical areas where blasting is not possible, water jet washing and hard wire brushing are minimum requisites. 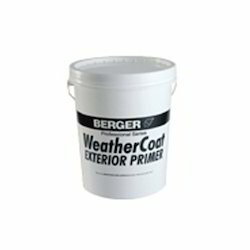 Looking for Berger Primers ?